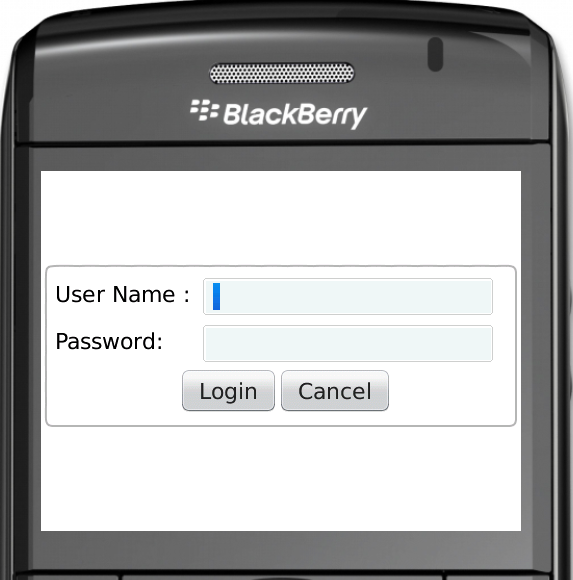 Keraisureshv Blackberry Blog: Create login screen in blackberry. On Last post we have study LableFiled and CustomEditField now we go one step ahead. How to design simple login screen. Means here we are trying to design login screen also use existing component like CustomEditField we can also create same PasswordEditField also. Please variety following Border image on resource folder before run this application. private CustomTextBox txtUserID; // Please see previous blog for this component. private CustomPasswordField txtPassword; // Create CustomPasswordField using CustomTextBox. Now you can set any background image here please change border image then display that type of image.